The start of the 21st century has seen the introduction and exponential growth of the high-tech gadget market. In this day and age of tight schedules and demanding careers, we need all the help we can get so that we have time leftover to still enjoy the best things in life. There has been a boom in the recent craze for “Smart” technology and devices. Promising to save us time and stress, “smart” devices are improved household essentials which do most of the work for us. Visit Harvey Norman to learn more about smart homes and how to maximise your connected lifestyle today. Don’t believe me? 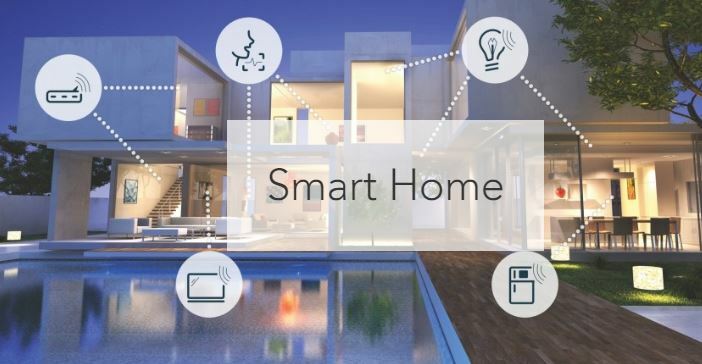 Here are seven ways that a Smart Home can make life easier. Available in a number of models, the Google Home is your very own personal assistant who is on call 24/7. Using the Google Assistant application, the Google Home will answer any question you have as well as fulfilling commands and keeping you on top of your daily schedule – all hands free! Its voice activation means all you need to say is “Ok Google” for it to be ready for your questions or queries. Smart TV’s have revolutionised television viewing in recent years. Smart TV’s now harness the ability to include apps for an endless range of viewing. Take Netflix and Stan off your phone and put it on the big screen with TVs such as the LG Super UHD LED LCD AI ThinQ Smart TV. With convenient access to your favourite viewing apps and voice activated controls, you won’t have to compromise on quality with LG’s Nano Cell and IPS technology. These deliver an immersive and vibrant picture matched with the experience of depth of surround sound without addition speakers. Completely redefining the term ‘fridge’, Smart Fridges provide an ease of use and technological capability that will you will wonder how you ever lived without it. The Samsung Family Hub 671L French Door Fridge has internal cameras and expiry dates of perishables logged so that you know exactly what’s in your fridge. Access it 24/7 with the smartphone app and even create shopping lists or new food orders with only your voice thanks to its voice activation feature. Take the best care of your pet with the Pettec Smart Pet Feeder for Dogs & Cats. This feeder will distribute your pet’s meals as you require and is controllable remotely through a smart phone app. With an integrated weight sensor and live video chat and webcam access, you can keep a close eye on your furry friends without even being home. Gone are the days where vacuuming would be the dreaded chore left for the weekend. Have your floors cleaned daily for you without lifting a finger with the iRobot Roomba 980 Robotic Vacuum Cleaner. Easily controlled with a simple interface, you can also take charge of your Roomba from your smartphone app. Watch as it navigates on the best route around your floors with cliff detection and automatic recharging so that you’ll come home to clean floors every day. Bluetooth speakers are an essential in every home. The JBL Link 500 Google Voice Activated Speaker is a perfect example to demonstrate just how far we’ve come over the last few years in outdoor entertainment. A 24-bit/96kHz high-quality sound delivers a crisp and clear playback from your connected Bluetooth device. Use the power of your own vocals with voice recognition and chain the audio together with other compatible JBL speakers. This allows you to carry the same song through various rooms so that you can control just how your party should sound. Stream your favourite shows, movies, music and photos onto the big screen with a Chromecast. This media streaming device simply plugs into your TV and wirelessly connects to your compatible smartphone which now becomes your remote. Mirror your phone and access apps like Netflix, Spotify and many more for hours of unlimited entertainment. Maximise your time at home and limit your stress by transforming your house into one that works with you, not against you. Find the time to relax and unwind and spend time with your family and let your smart home take care of the rest. For devices that range from feeding your pets to leaving your floors spotless without lifting a finger, find the time to reclaim as yours, to live the life you’ve always wanted. Fill your place with smart technology and appreciate the difference when you turn your house turn into a smart home today.